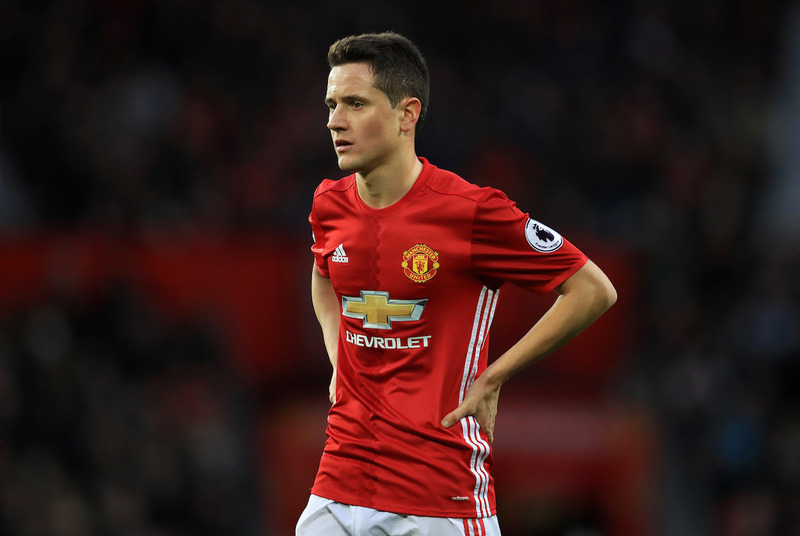 Should Ander Herrera be the next Manchester United captain? In modern day football, fans have become so accustomed to players with the fancy haircuts, tattooed sleeves and hyped up social media antics. It at times feels as though long are the days gone for when we as fans instead idolised players for their passion and desire on the field, rather than their persona and lifestyles that we see through our phone screens. However, these players who are seemingly now dubbed as ‘old fashioned’ are not extinct in the footballing world just yet, and we of course possess our own player of this sort in Ander Herrera. The little Spanish maestro joined back in 2014 and despite being a Louis Van Gaal signing, Herrera struggled to establish himself under the Dutchman as a consistent starter, something that with hindsight now looks a criminal decision. It has been in fact through the man management of Jose Mourinho, which has seen Herrera become almost reborn at United and subsequently flourish in a system that certainly plays to his strengths. When visualising a captain at any given club, you immediately associate this player’s typical strengths lying with their commanding presence on the pitch and ultimately their willingness to put their body on the line for the team. These attributes are certainly something that we have seen throughout the history books of previous Manchester United captains, with the likes of Nemanja Vidic, Rio Ferdinand, Steve Bruce and Roy Keane all being part of the selected group who have worn the iconic armband. Surely Ander Herrera in this sense deserves a mention? As referred to already, Herrera has become both a fan favourite and almost like a teacher’s pet under Jose Mourinho this season, as they both share the same winning mentality of doing anything in order to gain victory. Just cast your mind back to United’s 2-0 victory over Chelsea last April, where Herrera was utilised through specific instructions under Mourinho in order of limiting Eden Hazard’s touches on the ball, something that resulted in the Spaniard gaining the Man of the Match award for his excellent performance. It is through these little devious but yet intelligent antics on the field that has solidified Herrera a position in that midfield three this season, as through his impressive balancing of defensive and defensive duties, Herrera has become one of the Premier League’s most solid midfielders. Admittedly of course, he is the sort of player that rival fans certainly hate, yet perhaps this is more of a reason to place the captain’s armband on the Spainard. Through this style of play, Herrera has truly established himself as a fan favourite this season and has no doubt joined the rare breed of modern footballers that simply play for the badge on their shirt. In an era where Jose Mourinho is certainly trying to craft out a specific philosophy and image at Manchester United, perhaps rewarding a player of Ander Herrera’s agenda will spur other players on in their own performances on the field. Lastly on the note of other players, there is also the factor of who else truly deserves the armband and the responsibility of leading out Manchester United every week. Of course the current captain is Wayne Rooney, a player whose future lies in great question at the club, and even if the Englishman does stay, then there does remain the question of whether the first choice captain must also be a first choice starter. This same factor can be applied to Micheal Carrick (our vice-captain) as with hot speculation around Fabinho and Matic joining, alongside Carrick’s age of 35, one must also speculate as to how many minutes he will be receiving on a consistent basis come the new campaign. When you remove these two players out of the run in, surely this only leaves our little Spanish maestro as the favourite. As a player that the manager trusts, fans love and of course most importantly a player that holds the right leadership skills, Ander Herrera would make a rather fitting captain at the club. Those who doubt his authority on the field should be made aware of his actions in the Europa League final, where Herrera overruled Mourinho’s decision to place Mkhitaryan in a defensive position during set pieces. The booking of the Armenian early on in the game was picked up upon by Herrera who instructed Mkhitaryan to attack rather than defend, a decision that led to United’s all important second goal. For me, he is the ideal candidate and I would love to see his quality performances be merited with the armband. Is Alvaro Morata really the answer to United’s goalscoring problem?